Site - taped 8/7 in Houston, Tex. -- Prime Time Players beat Primo & Epico via DQ to become #1 contenders to the Tag Titles. -- World Hvt. champion Sheamus vs. Alberto Del Rio for the World Title did not happen due to an attack on Sheamus. 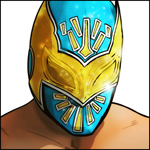 (1) Sin Cara beat Cody Rhodes. ... (2) Jinder Mahal beat two unidentified jobbers in a handicap match. ... (3) Prime Time Players (Titus O'Neil & Darren Young w/A.W.) beat Primo & Epico via DQ in a #1 contender match to the Tag Titles. ... (4) Christian beat Antonio Cesaro (w/Aksana). ... (5) Rey Mysterio beat IC champion The Miz. ... World Hvt. champion Sheamus vs. Alberto Del Rio for the World Title did not happen.